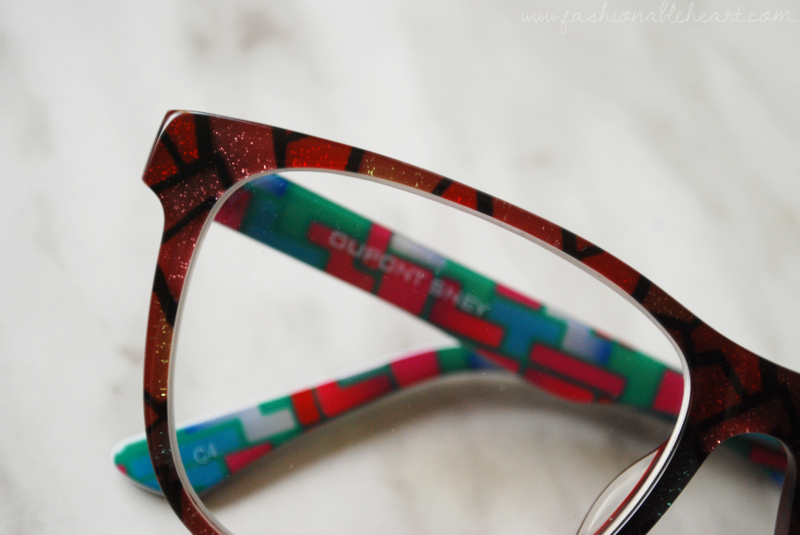 Fashionable Heart: My Thoughts on GlassesShop.com! When I was contacted to try a pair of glasses from GlassesShop.com, I knew I wanted to pick out a really fun pair. 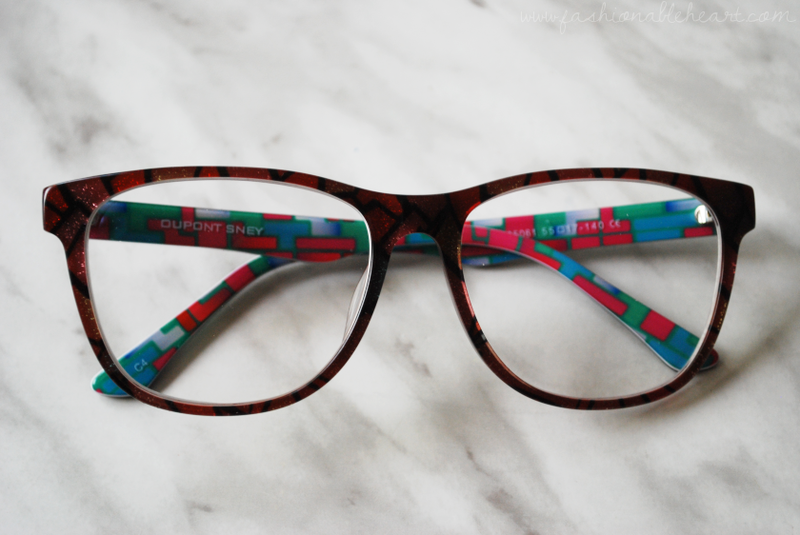 I view glasses as another way to accessorize and I love having different pairs and colors to choose from. The only thing I don't stray too far from is the shape, because you still want to stick to pairs that flatter your face. For me, I have a round face so I stick mostly to square frames. You ovals out there that can wear any frame, consider me jealous! 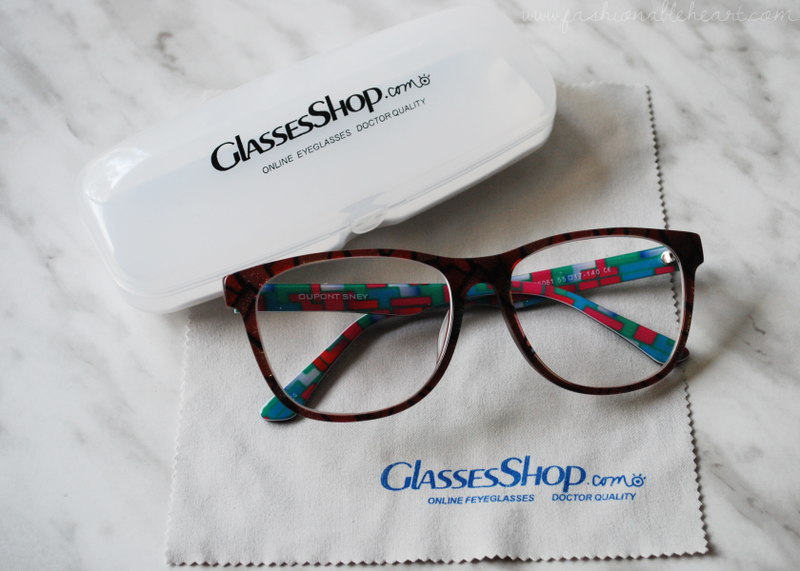 GlassesShop offers non-prescription and prescription eyeglasses and sunglasses. They offer various pairs of cheap glasses to keep even the most fashionable diva happy. You can upload a photo and virtually try on any pair. I narrowed my choices down to three, but picked the Fayette Wayfarer in multicolor. With each pair, you also get a case and cleaning cloth. They have a geometric pattern and glitter to add dimension. GLITTER. Yep, I was sold after that. This pair is amazing up close and just look like a brownish red from a distance, so I feel like they are really easy to wear from day to night. An easy foray into the print world without making too huge a splash. They are made of acetate and are very comfortable while wearing. For my readers, I have a coupon code to save you 50% on select eyeglasses and sunglasses with free lenses (sale frames excluded). Just enter GSHOT50. There is also a campaign going on currently called "First Pair Free", where all new customers can get their first pair for free and pay only shipping and handling. That's a pretty awesome deal! **I received these glasses from GlassesShop. All pictures and thoughts are my own. I am not being paid, nor are there any affiliate links in this post.